During November, there were six new detentions of foreign flagged vessels in a UK port, three vessels remained under detention from previous months. A total of four vessels remain under detention at the end of November. 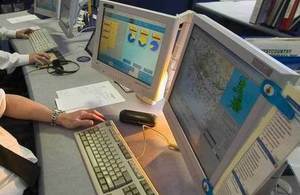 In response to one of the recommendations of Lord Donaldson’s inquiry into the prevention of pollution from merchant shipping, and in compliance with the EU Directive on Port State Control (2009/16/EC as amended), the Maritime and Coastguard agency (MCA) publishes details of the foreign flagged vessels detained in UK ports each month. The UK is part of a regional agreement on port state control known as the Paris Memorandum of Understanding on Port State Control (Paris MOU) and information on all ships that are inspected is held centrally in an electronic database known as THETIS. This allows the ships with a high risk rating and poor detention records to be targeted for future inspection. Inspections of foreign flagged ships in UK ports are undertaken by surveyors from the Maritime and Coastguard Agency. When a ship is found to be not in compliance with applicable convention requirements, a deficiency may be raised. If any of their deficiencies are so serious they have to be rectified before departure, then the ship will be detained. Full details of the ship. The accompanying detention list shows ship’s International Maritime Organization (IMO) number which is unchanging throughout the ship’s life and uniquely identifies it. It also shows the ship’s name and flag state at the time of its inspection. Company. The company shown in the vessel’s Safety Management Certificate (SMC) or if there is no SMC, then the party otherwise believed to be responsible for the safety of the ship at the time of inspection. Classification Society. The list shows the Classification Society responsible for classing the ship only. White (WL), Grey (GL) and Black lists (BL) are issued by the Paris MoU on 01 July each year and shows the performance of flag State. Recognised Organisation for ISM DOC: Not applicable. For further information please contact Maritime and Coastguard Agency Press Office, on: +44 (0) 2380 329 401 Press releases and further information about the agency is available here.